SLPS read for a third year in a row at the 2018 15th Annual SLC International Tattoo Convention Saturday and Sunday March 24-25 at the Salt Palace Convention Center. $10 readings for the tattoo goes and artists. We were placed next to another piercer/reader by the competition area, but all was well, with a total of 30 readings being done. U of U St Patrick’s Crimson Nights Free Tarot Readings! SLPS had a lovely weekend reading tarot for the attendees of the 13th Annual Salt Lake City International Tattoo Convention from March 4-6, 2016. With the buzz of guns, the many guests wandering received ink from artist form all across the country and internationally. A few local shops were present such as Heavy Duty of Ogden, Lost Art, Big Deluxe, Good Times, Painted Temple, Oni, A.S.I., Iron Clad/Anchor Ink, and King of Swords all of Salt Lake. Just about all types of colors, styles, images, were drawn and body parts were tattooed, as people lied on tables, sat in chairs, and shopped for merchandise while seeing their favorite artist and meeting new ones. SLPS used the Tarot of the Tattoo Age, created by the organizer of the convention. Many people came to ask the tarot their questions and get first time readings. Some even wanted palm readings afterwards. This was the first time tarot readings have been part of the convention… and SLPS had the honor of being the first readers. The readings were well received by the tattoo community. SLPS enjoyed a good day, doing readings with the Tarot of a Thousand and One Nights at the 15th Annual Springfest on Saturday, March 5, 2016, put on by Thia. Each March the festival takes place in the Utah State Fairground promontory building and includes vendors, food, music, and more importantly, the belly dance troupes who perform from 10am to 10pm! Those who came for readings enjoyed the tarot and its Middle Eastern theme. This was the fourth year SLPS has participated in the event and plans to enjoy many more years! Sad news to report, the board members of the local Salt Lake City and Utah based Furry community convention Furry Unlocked, have chosen to dissolve the convention at this time and the foreseeable future. Citing difficulties in the administration to run a 3 day event, finances, and the flood of other opportunities such as Comic Con for furries to participate in, the board felt it was no longer feasible to put on the convention.Their holdings have been transferred to a company run by Rabbit Valley, stating that they did not want to loose their brand, and are open to the possibility of returning in the future if there is enough demand. SLPS participated in the 2015 convention over Halloween, doing furry tarot readings and presenting a panel on animal totems for furries. We were hoping to return next year as we had a very good experience. We are glad to have the opportunity we did to support the furry community. Read all the details from their website post titled “Closing Furry Unlocked”, posted to the front page of their website on January 16, 2016. SLPS had a great time reading free tarot for the students at the Fall Crimson Nights on Friday, October 23, 2015. Themed out for “Halloween Nightmare”, everyone was dressed in various costumes. We were placed with Kim’s Creatures in the Student Union Den. Woman Between the Wolves, Muad’Dib, and Shy Fox brought their decks and the Samhain table cloth. Muad’Dib and WBTW had a special Halloween Tarot by Karin Lee they used for the themed event. Shy Fox used his standard Wildwood tarot by John Matthews. “We had an endless line like usual. Many students, about 100 I’d say came in the 3 hour period from 10pm to 1am. They usually put us with Kim’s Creatures at the events, as this is the 3rd time the Pagans have been paired with the creatures together, which we love animals so it’s a natural fit” said Shy Fox. Everyone was worn out by the end of the night! “It’s always a tone of work, but the 10th reading I’m reading to go, but I’m a trooper and know I’m there to help students” said Woman Between the Wolves. SLPS thanks the Union Programming Council (UPC) and looks forward to reading again at the spring 2016 Crimson Nights! Interested in learning the Tarot? Want to know more about divination? Come to the 101 to get the basics! We will cover history, origin, purpose, deck types and the first 10 Major Arcana cards.Text for the class is “Tarot and the Journey of the Hero” by Hajo Banzhaf. What a wonderful adventure! The excitement keeps on coming at every turn. 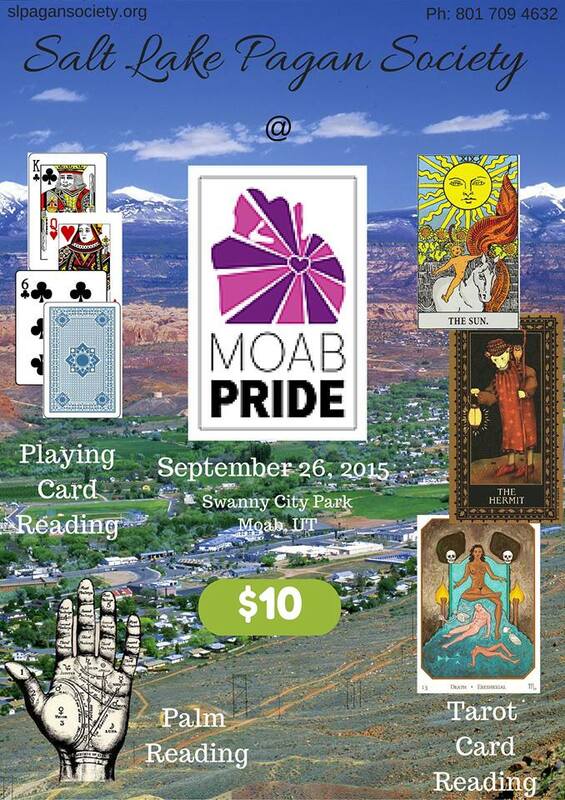 SLPS had a terrific weekend attending the 4th Annual Moab Pride Festival Saturday and Sunday September 26-27, 2015. The group drove down Friday evening, staying at the Days Inn motel. After a mix up with only one king sized bed for three people, the readers finally got some rest for the big day in the morning. No time for the the Pre-Pride Party at the Rio bar that the pride crowds were attending. Saturday morning September 26, breakfast was at the local Moab Diner, but due to the tourists, had to be taken to go. The festival started at 10:30 at Swanny City Park. The vendor booths were placed in a semi-circle around the stage in the park. Various vendors included Equality Utah, Human Rights Campaign, The National Forest Service, The Grand County Library, and the Trevor Project. A visibility march took place at 11:30 am, marching a few blocks east, south, then west before circling back around to the park. Groups such as Utah Naturalists, Mormons Building Bridges, the Moab Valley Multicultural Center and the local fire department participated with their fire engine bringing up the rear. The day was very hot, upwards of 95 degrees F. Various bands performed through the day, with drag shows scattered throughout the programming. SLPS’ booths was busy, bringing in many customers who had never had a reading. The Native American Club from Grand County School District sold Navajo tacos. The Moab Valley Multicultural Center sold tostadas, and the mobile vendor Quesadilla Mobilla sold various quesadillas. Dinner was at the local restaurant La Hacienda. Enchiladas were in order, with shrimp and chicken. The guacamole had to be spiced up somewhat with pepper sauce, but the food was pretty good overall. The staff continued to check on us throughout the dinning experience and even gave us tips about the parks in the area. The Pride after party was held at the Rio, same place as the Pre-Pride party next door to the park. Door fee was $15, which went to help fund the local youth center. Filled with Pride attendees, people drank, partied, and danced the warm night away. Since SLPS was so successful, we decided to stay another night. Because of the trouble the night before, Days Inn gave us a discounted room, with two beds this time! Sunday morning, September 27 brought a chance to do some shopping and eat breakfast at Love Muffin Cafe, reinvesting the money from the community back into the local economy. The Love Muffin Cafe turned out to be the spot where all the hung over Post-Pride Parties came to get their fill of breakfast burritos, coffee, and muffins. SLPS headed over to the mighty Colorado river to performing a morning ritual. After meditating and collecting some special water, a trip to Arches National Park was in order. The $10 fee was a good price to spend a day hiking and viewing sacred nature! With many pictures, selfies, and group shots, SLPS did the whole circuit. Balanced rock, Double Arch, Skyline Arch, and Window Arch before heading off to hike to the famous Delicate Arch which is on the Utah license plates. 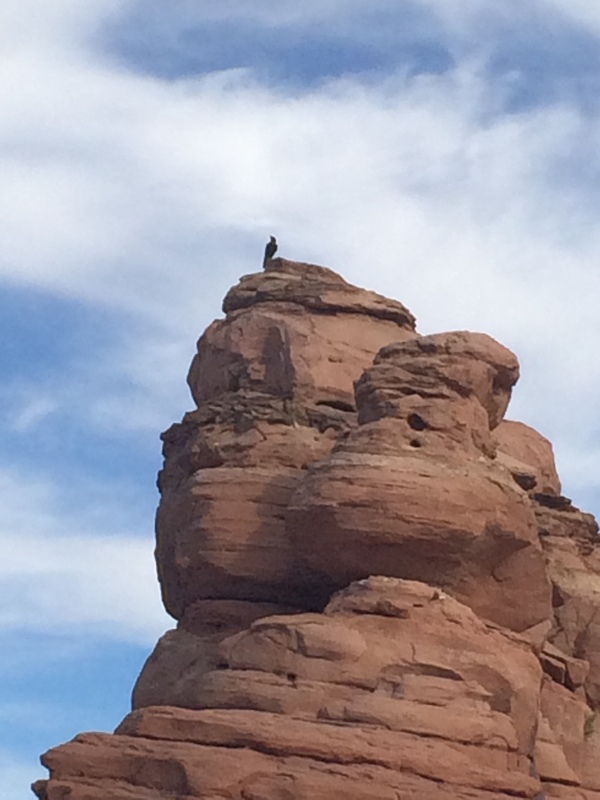 The hike was arduous, in the heat of the day, with a difficult trail up a 45 degree slickrock face and uneven terrain, little shade was in sight, but the members of SLPS completed the trail in 2 1/2 hours with the help of a Venezuelan family after running out of water. We spent some time at the arch and headed back down the mainly descending trail. 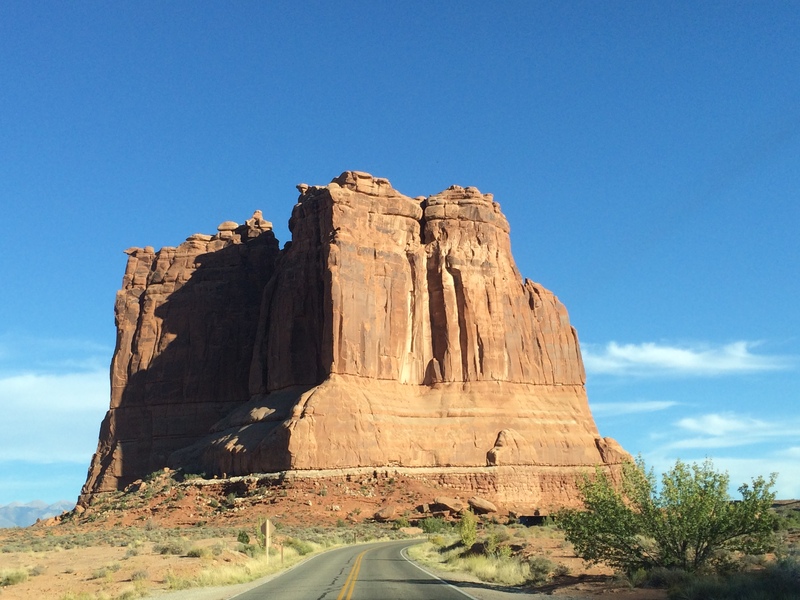 A drive back to Moab for water, food, and gas came as a relief. Sucking down a gallon of water and eating pulled pork from Wendy’s, SLPS got back on the road for the return trip to Salt Lake City. The sun set over the western desert, illuminating the red rock, and we watched the supermoon eclipse on highway 6 outside of Price, UT. We pulled over to perform some quick eclipse full moon magic and take in the stunning view of the Milky Way Galaxy that can be seen in the wild desert away from the city lights.